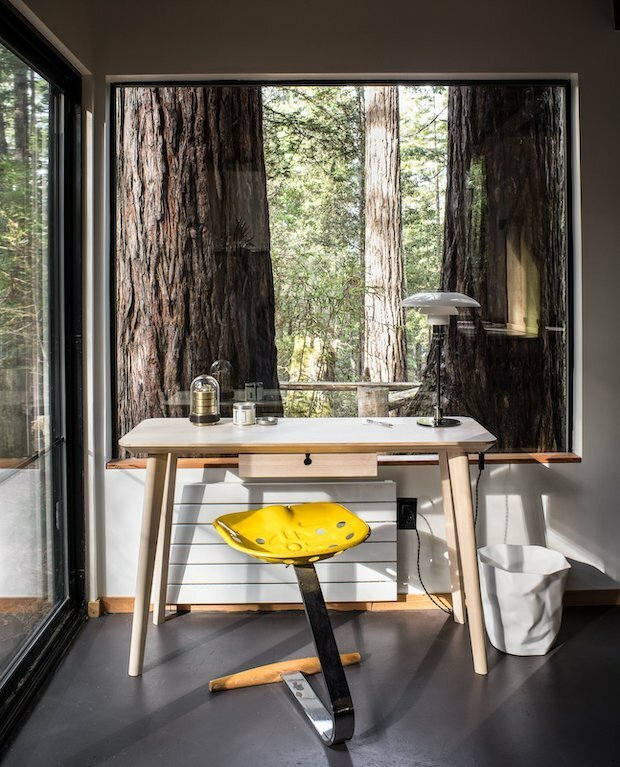 The MiniMod cabin in Sea Ranch, California has been reborn as a guest home. 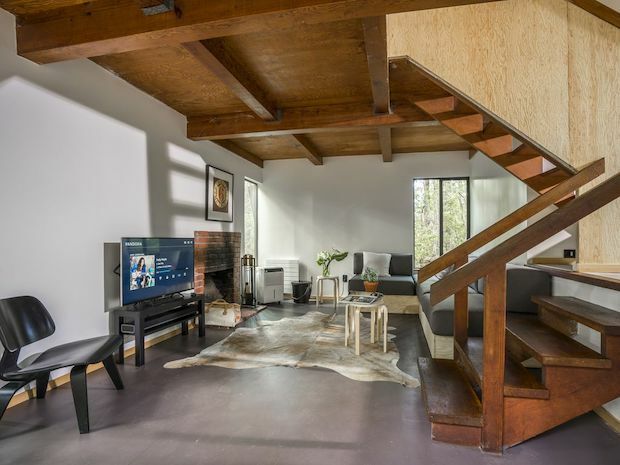 This home now features modern amenities while still maintaining its original charm. 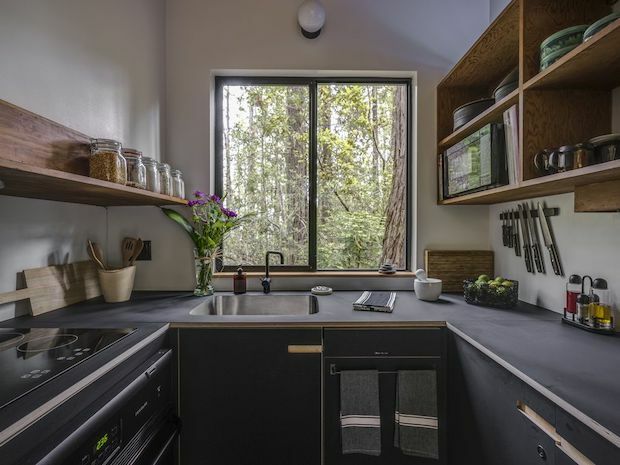 Large windows allow for a healthy helping of natural light. 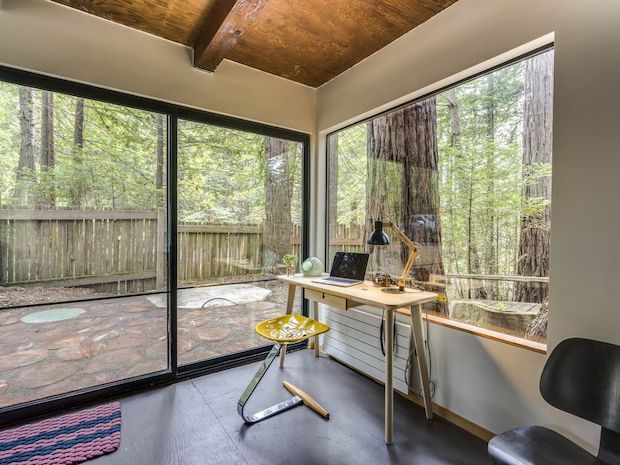 They also provide picture-perfect views of the surrounding woodlands. 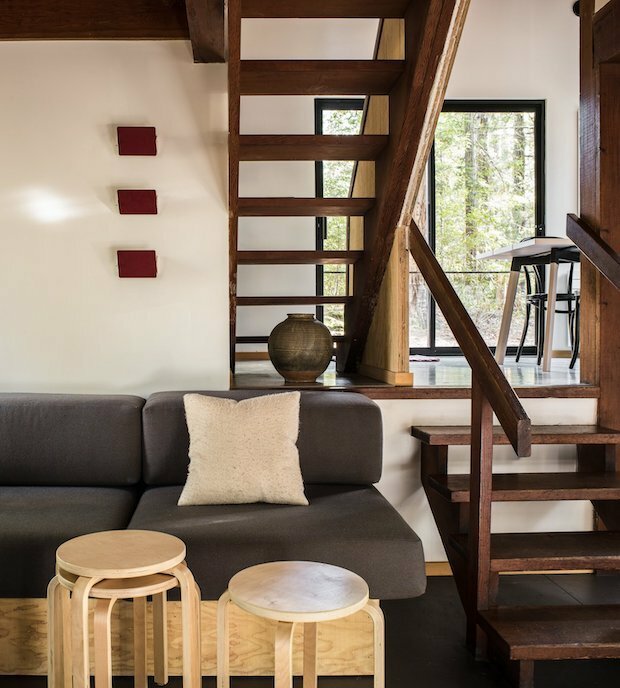 Minimalism is the focus of this cabin’s interior design. 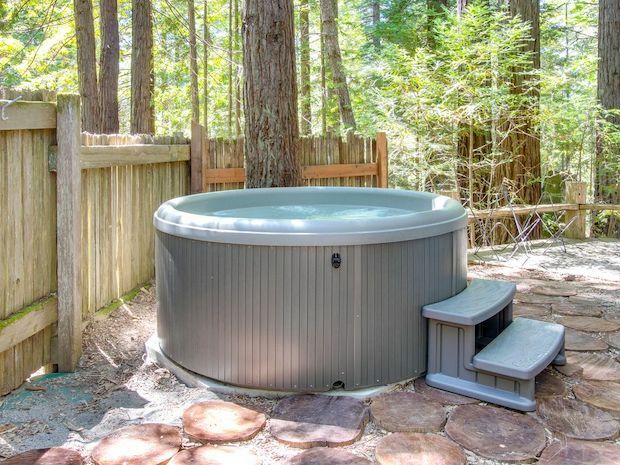 This allows a more relaxed atmosphere as you immerse yourself with nature. 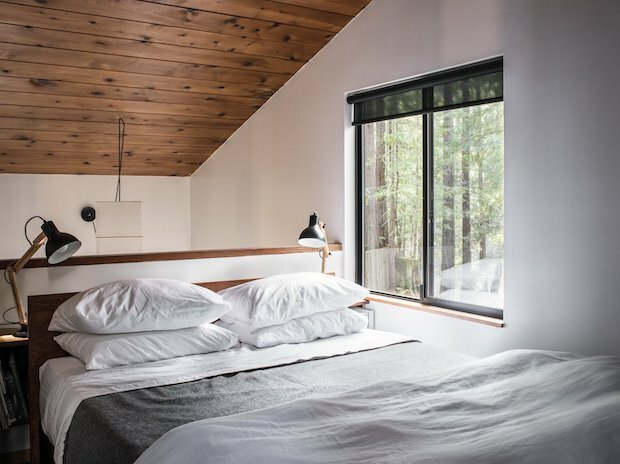 The cabin went from an originally rustic home to a modernized cabin that can comfortably accommodate 4 guests. 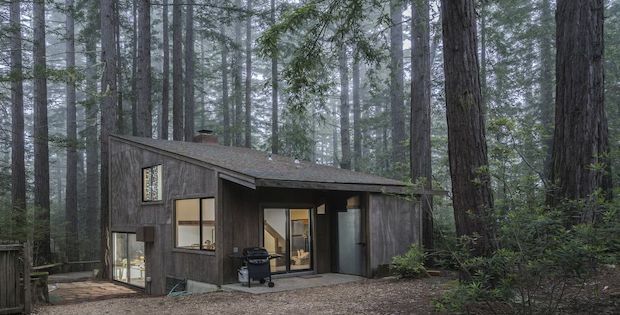 So escape from the noisy world into this tranquil cabin in the woods. 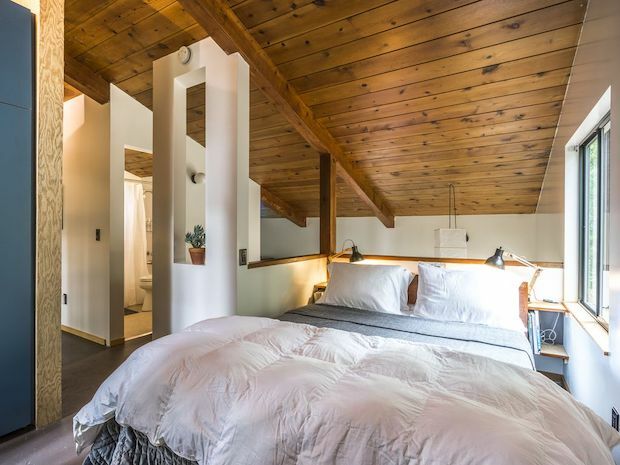 Enjoy a well-deserved vacation for you and your family or friends for $213 per night. To increase storage space, the architects designed custom blue laminate cupboards to fit within the original closet alcoves. 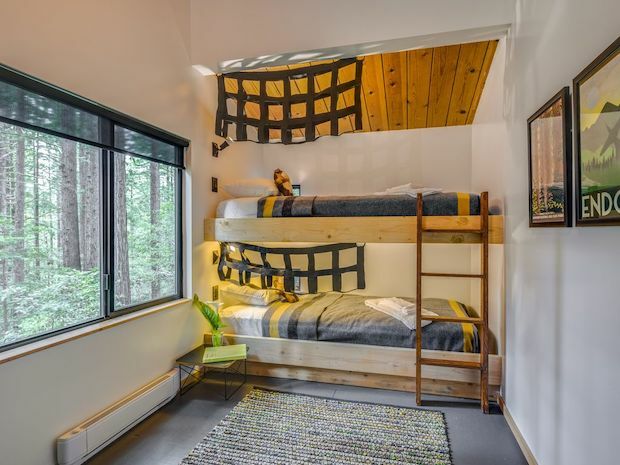 In the second bedroom, bunk beds hang off the side of the main volume. To increase the sleeping capacity, a built-in sofa was introduced on the main level, which includes additional storage and a pullout bed.